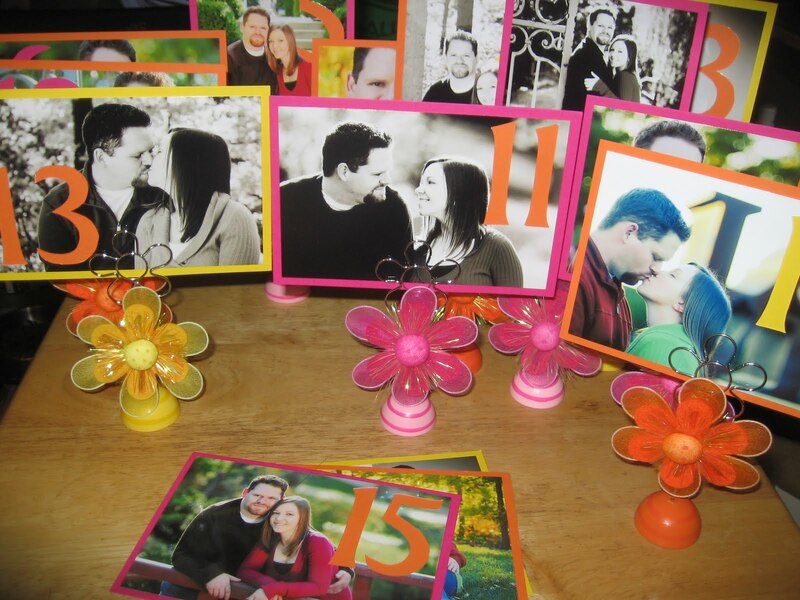 The DIY Bride: New Table Numbers! - Check! I decided after some careful consideration to re-design my table numbers. 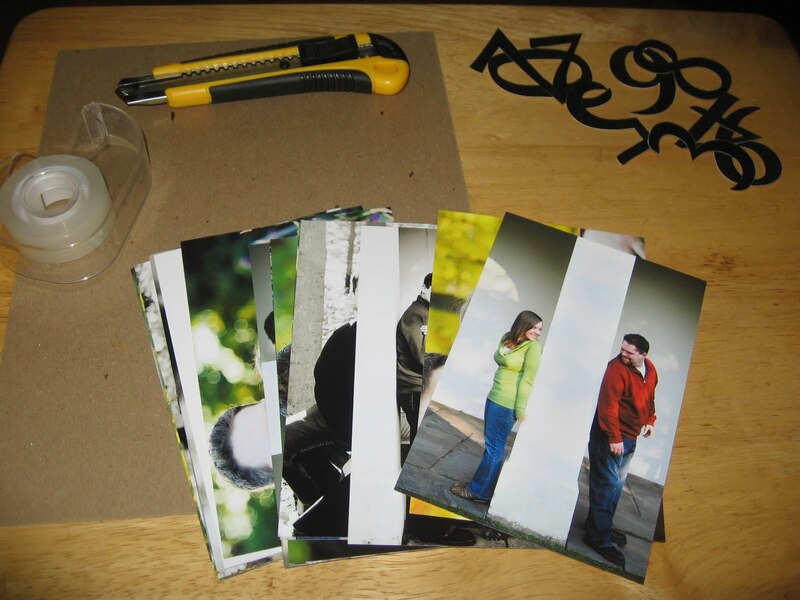 I liked the idea I had before, but I kept running into different problems. So I decided to start over. 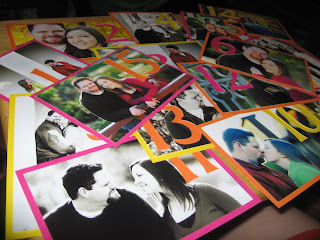 Here is what I came up with..
What I decided to do was actually incorporate the numbers more into our actual pictures. 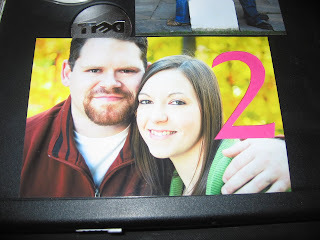 I have an amazing printer, but I don't have any special programs that would allow me to add the number to the photos digitally, so I decided to do it a different way, and here is how I did them! Open a Word document, and type in the numbers 0-9. Enlarge the numbers to the size of your choice. I enlarged mine to 200. Print them off on cardstock. These numbers served as my templates. 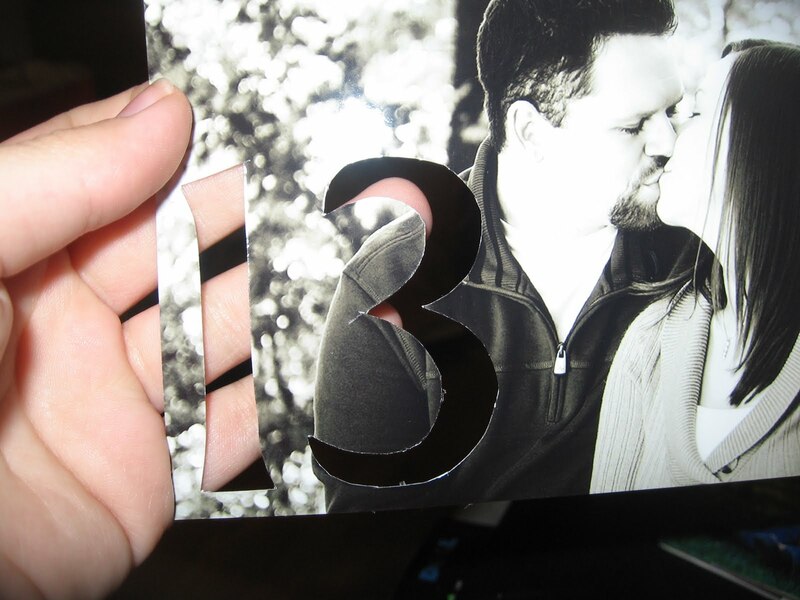 Cut the numbers out of the cardstock. Take one of your photos, and choose where you would like to place the number. 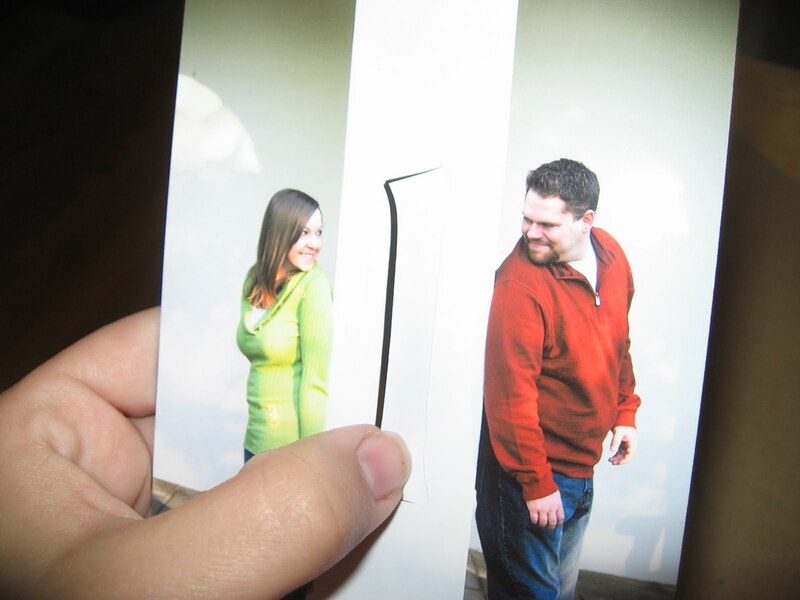 When you've decided, turn the picture over and the tape the number to the photo backwards. 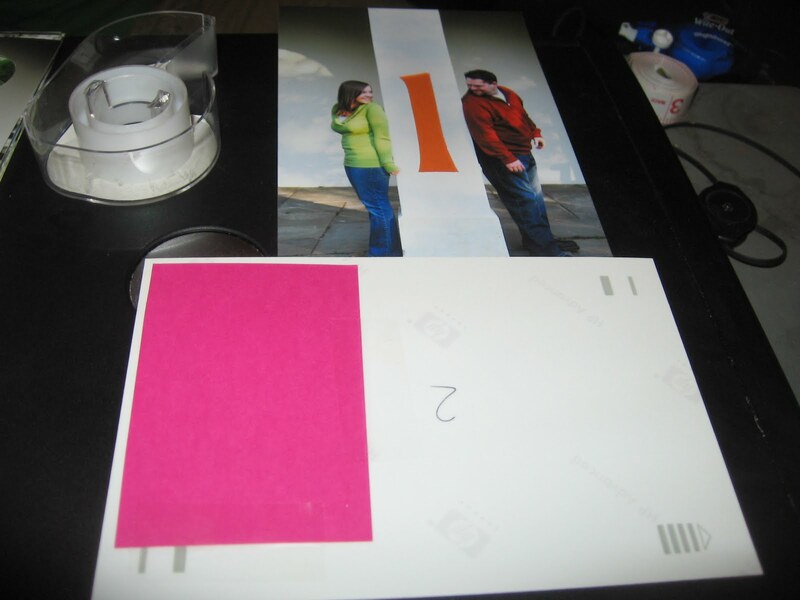 If you look closely enough, you can see where I tape the #1 in the center of the picture backwards. 4. 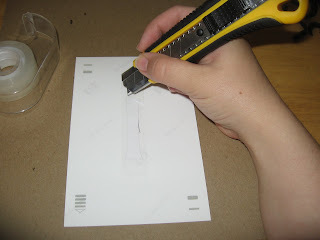 With your box cutter/Xacto knife, carve out the number with the number template as your guide. 5. 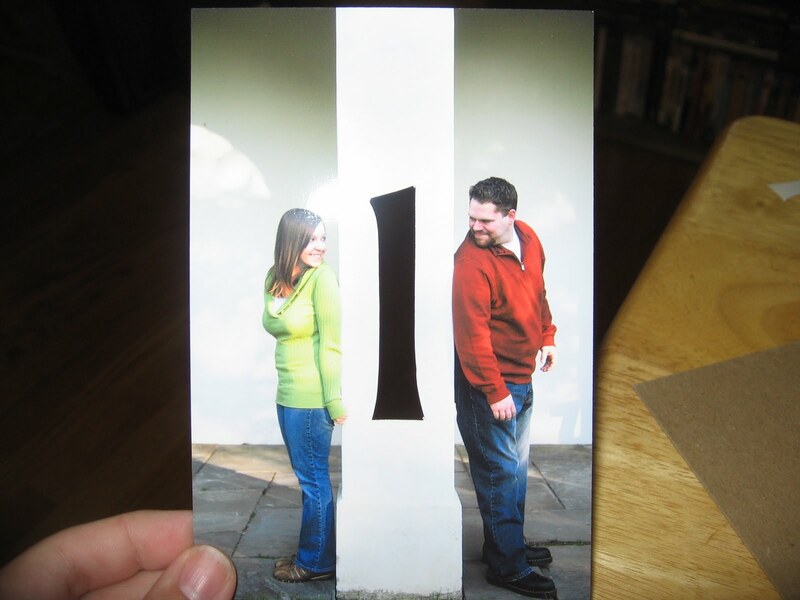 Take a small piece of your colored cardstock, and tape it to the back of your photo, over the number. 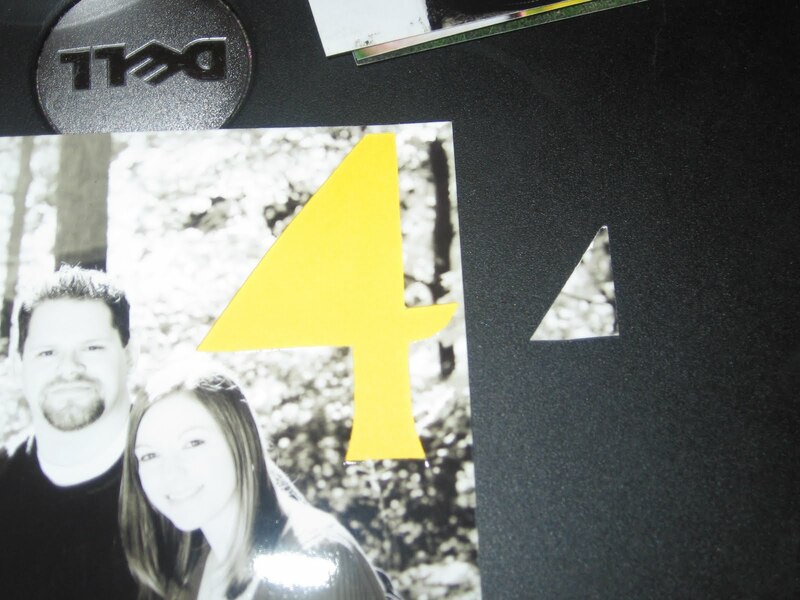 The 4 isn't quite finished because I had to cut the center of it out separately, and add it. 6. 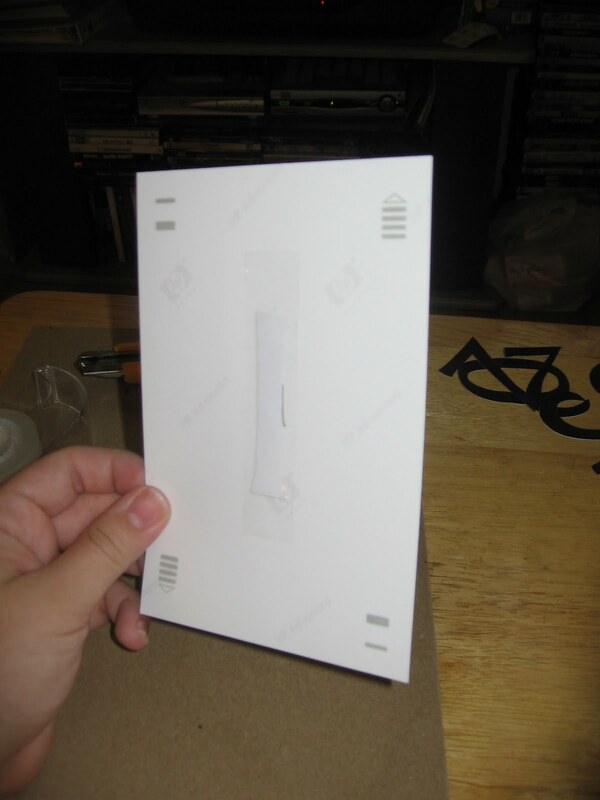 Lastly, add some sort of adhesive to the back of your photo and apply it to another sheet of cardstock. Have fun with this part by mixing up colors. For example, I made the #10 a yellow number, but added a bright orange sheet of cardstock to it so that the #10 would pop out more. 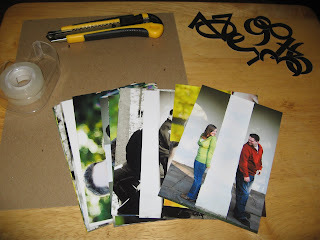 I'm very happy with the way they turned out, and overall, this wasn't very time consuming at all. I made 15 numbers, and it roughly took me about 2 hours to complete them all.